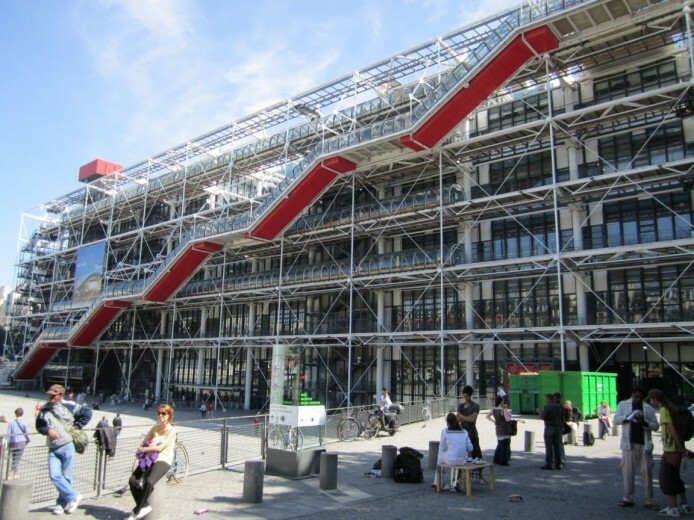 Centre Georges Pompidou is a complex in the Beaubourg area located in the center of Paris Between the Halles and the Marais. It houses a vast public library, the largest museum for modern art in Europe, and a centre for music and acoustic research. The Centre was designed by architects Renzo Piano, Richard Rogers, Gianfranco Franchini. The project was awarded to this team in an architectural design competition in 1971. The record crowds at the Library with 14,000 people a day. While easily explained with its encyclopaedic collections, 450,000 books, 2,600 magazines and journals and 2,400 videos.